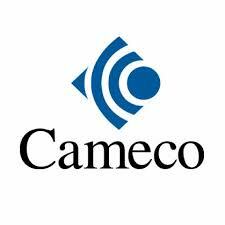 Cameco (TSX: CCO) (NYSE: CCJ) today reported its consolidated financial and operating results for the third quarter ended September 30, 2018 in accordance with International Financial Reporting Standards (IFRS). “Our results and the updates to our outlook reflect the impact of our decision to extend the shutdown at McArthur River/Key Lake, and the tax case ruling that was unequivocally in our favour,” said Tim Gitzel, Cameco’s president and CEO. “As a result of the updates to our outlook, we expect a strong finish in the fourth quarter. “The uranium market is showing a marked improvement compared to a year ago, in fact relative to the first half of the year, but there is still a long way to go. There are a lot of moving parts in the market right now, largely driven by market access and trade policy issues, and there continues to be a lack of acceptable long-term contracting opportunities. Net earnings of $28 million; adjusted net earnings of $15 million: Results were impacted by care and maintenance costs of $65 million, which includes severance costs of $27 million related to the permanent layoffs at McArthur River/Key Lake, severance costs of $13 million related to the workforce reductions at corporate office, and the reversal of the $61 million provision on our balance sheet related to our dispute with Canada Revenue Agency (CRA). Adjusted net earnings are a non-IFRS measure, see page 3. CRA tax dispute: On September 26, 2018, the Tax Court of Canada ruled unequivocally in our favour in our case for the 2003, 2005 and 2006 tax years. On October 26, 2018, CRA filed an appeal with the Federal Court of Appeal seeking to overturn the decision. We believe there is nothing in the decision that would warrant a materially different outcome on appeal, or for subsequent tax years. For more information, see Transfer Pricing Dispute in our third quarter MD&A. Updated outlook for 2018 and 2019: We have updated the outlook provided for 2018 and 2019 to reflect changes in the exchange rates, the decision in our tax case with CRA, and the additional purchase and sales activities undertaken to date. For more information on the changes, see Outlook for 2018 in our third quarter MD&A. Annual dividend declared: For 2018, an annual dividend of $0.08 per common share has been declared, payable on December 14, 2018, to shareholders of record on November 30, 2018. In 2017, our board of directors reduced the planned dividend to $0.08 per common share to be paid annually. The decision to declare a dividend by our board is based on our cash flow, financial position, strategy and other relevant factors including appropriate alignment with the cyclical nature of our earnings. The financial information presented for the three months and nine months ended September 30, 2017 and September 30, 2018 is unaudited. The following table shows what contributed to the change in net earnings and adjusted net earnings (non-IFRS measure, see page 3) in the third quarter and first nine months of 2018, compared to the same period in 2017. Adjusted net earnings are a measure that does not have a standardized meaning or a consistent basis of calculation under IFRS (non-IFRS measure). We use this measure as a meaningful way to compare our financial performance from period to period. We believe that, in addition to conventional measures prepared in accordance with IFRS, certain investors use this information to evaluate our performance. Adjusted net earnings are our net earnings attributable to equity holders, adjusted to reflect the underlying financial performance for the reporting period. The adjusted earnings measure reflects the matching of the net benefits of our hedging program with the inflows of foreign currencies in the applicable reporting period, and has also been adjusted for impairment charges, reclamation provisions for our Rabbit Lake and US operations, which had been impaired, the gain on restructuring of JV Inkai, and income taxes on adjustments. Adjusted net earnings are non-standard supplemental information and should not be considered in isolation or as a substitute for financial information prepared according to accounting standards. Other companies may calculate this measure differently, so you may not be able to make a direct comparison to similar measures presented by other companies. The following table reconciles adjusted net earnings with net earnings for the third quarter and first nine months of 2018 and compares it to the same periods in 2017. Every quarter we are required to update the reclamation provisions for all operations based on new cash flow estimates, discount and inflation rates. This normally results in an adjustment to an asset retirement obligation asset in addition to the provision balance. When the assets of an operation have been written off due to an impairment, as is the case with our Rabbit Lake and US ISR operations, the adjustment is recorded directly to the statement of earnings as “other operating expense (income)”. See note 10 of our interim financial statements for more information. This amount has been excluded from our adjusted net earnings measure. The third quarter MD&A and unaudited condensed consolidated interim financial statements provide a detailed explanation of our operating results for the three and nine months ended September 30, 2018, as compared to the same periods last year. This news release should be read in conjunction with these documents, as well as our audited consolidated financial statements and notes for the year ended December 31, 2017, first quarter, second quarter and annual MD&A, and our most recent annual information form, all of which are available on our website at cameco.com, on SEDAR at sedar.com, and on EDGAR at sec.gov/edgar.shtml. Cameco is one of the world’s largest uranium producers, a significant supplier of conversion services and one of two Candu fuel manufacturers in Canada. Our competitive position is based on our controlling ownership of the world’s largest high-grade reserves and low-cost operations. Our uranium products are used to generate clean electricity in nuclear power plants around the world. Our shares trade on the Toronto and New York stock exchanges. Our head office is in Saskatoon, Saskatchewan.